The Balanced Scorecard course is designed for managers and other professionals interested in improving their organizational goals. 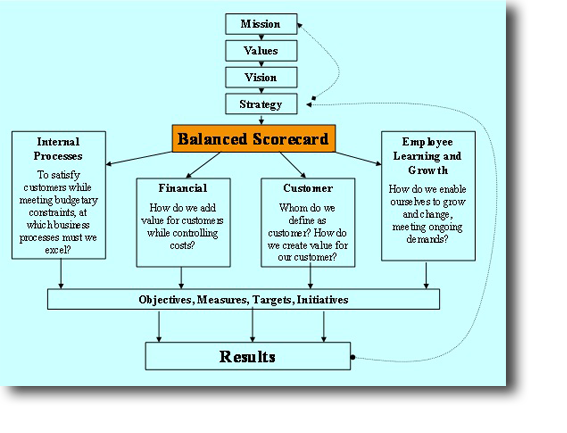 In the early 1990’s Dr. Robert Kaplan and Dr. David Norton developed a new approach to strategic management which they named the ‘Balanced Scorecard’. The Balanced Scorecard approach provides a clear prescription as to what companies should measure in order to ‘balance’ the financial perspective in reaching their business goals. The Balanced Scorecard is a management system as well as a measurement system that enables organizations to clarify their vision and strategy and translate them into action. It provides feedback around both the internal business processes and external outcomes in order to continuously improve strategic performance and results. When fully deployed, the balanced scorecard transforms strategic planning from an academic exercise into the nerve center of an enterprise. Since you can’t improve what you can’t measure, your business needs to develop metrics based on the priorities of the strategic plan. This will provide the key business drivers and criteria for metrics. After the metrics have been created, you can design processes to collect information relevant to these metrics and reduce it to numerical form for storage, display, and analysis. Once the data is available, your business managers can examine the outcomes of the processes and strategies and track the results to guide the company. By measuring the results based on the metrics tailored to your business, your business managers can see their company more clearly and make wiser long-term decisions. The Balanced Score Card methodology builds on some key concepts of previous management ideas such as Total Quality Management (TQM), including customer-defined quality, continuous improvement, employee empowerment, and measurement-based management and feedback. In a knowledge-worker organization, people are the main resource. In the current climate of rapid technological change, it is becoming necessary for knowledge workers to be in a continuous learning mode. Metrics can be used to guide managers in focusing training funds where they can help the most. In any case, learning and growth constitute the essential foundation for success of any knowledge-worker organization. Kaplan and Norton emphasize that ‘learning’ is more than ‘training’; it includes organizational resources like mentors and tutors within the organization, and relies on communication among workers that allows them to readily get help on a problem when it is needed. It also includes technological tools. This perspective refers to internal business processes. Managers applying metrics to the business process can determine how well their business is running, and whether its products and services fulfill customer requirements. These metrics have to be developed in consultation by those within the organization who know these processes most intimately. Balanced Scorecard is used to identify two kinds of business processes may: a) mission-oriented processes, and b) support processes. Recent management philosophy has shown an increasing realization of the importance of customer focus and customer satisfaction in any business. If customers are not satisfied, they will eventually find other suppliers that will meet their needs. Poor performance from this perspective can be a leading indicator of future decline, even though the current financial picture may look good. Customer satisfaction should consider the types of customers, and the ways your business provides products or services for those customers. The Balanced Scorecard approach includes considering financial data along with the preceding perspectives. Timely and accurate funding data will always be a priority, and managers will do whatever necessary to provide it. In fact, often there is more than enough handling and processing of financial data. With the implementation of a corporate database, it is hoped that more of the processing can be centralized and automated. But the point is that the current emphasis on financials leads to the “unbalanced” situation with regard to other perspectives.